Shut up, Byron! We are entering a new era on SmackDown Live this week with the addition of Corey Graves on commentary and the long-awaited exit of our resident Maggle, John Bradshaw Layfield. Now Tuesday nights just got 60% better. So how did the first episode of this new era play out? Let’s get down to it. 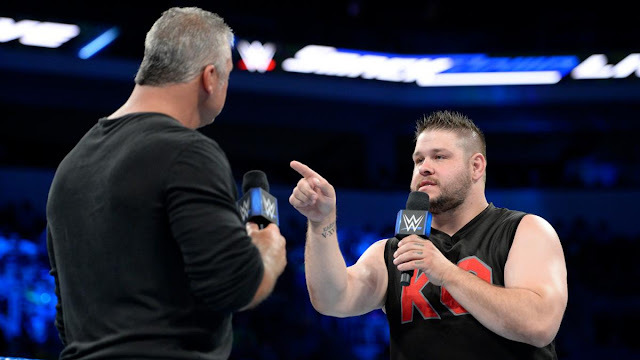 Sure, the main event was excellent, but I’m pretty sure the headline of this week’s episode was the entire Shane McMahon/Kevin Owens fiasco. First off, I actually like the fact that this isn’t a copy-paste storyline. They could’ve easily followed the pattern they used to build up Shane vs. AJ back in April. Instead, they let the storyline develop on its own terms. 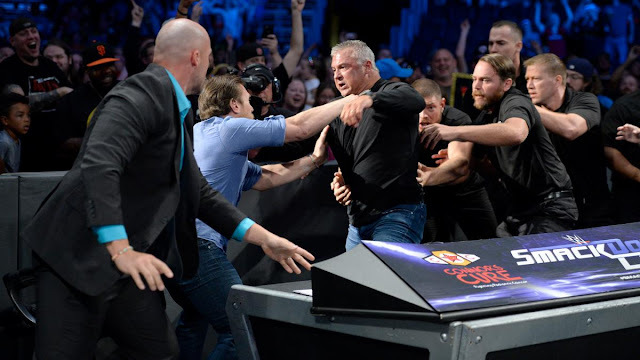 Not that it’s a good formula, but a babyface authority figure should only feud with a true heel wrestler if they want to achieve a compelling angle, and what we witnessed this week was the beginning of a great one. Imagine if AJ went this far with Shane. It just won’t work like this. Plus, Owens was the perfect heel for this role, mainly because he has this punchable persona. Every time he whines or does something evil, you just want to grab the screen and give his fat cheek a swift backhand. Shane pretty much did the punching for us this week and he got suspended for it. Worth it? If the plan was to match the amount of buzz RAW currently has with their Cena/Reigns program, then SmackDown Live did a great job. Granted, it’s another Superstar threatening to sue the company, but I think this is one time that this plot device would make sense. Sure, the lawsuit won’t really fly legally once filed, but we’re talking about Kevin Owens here. It fits his character well because he’s a crybaby. Of course he’ll complain and whine about all the chaos he caused to himself, so him suing makes sense on a character standpoint. Maybe they’ll just dodge this one next week with a deal of some sort. I wouldn’t worry about it if I were you. I’ll just wait and see what happens next week when the boss deals with him. I’m sure they wouldn’t insult our intelligence by going through with the lawsuit, no? Or maybe they would. They would, wouldn't they? Those bastards. Speaking of the boss, can you believe they even involved Vince McMahon himself? Really, do you remember the last time Vince cared enough to appear on an episode of SmackDown? I honestly don’t know how this storyline will play out. Maybe Owens will become the new commissioner? Maybe he’ll use his newfound leverage to get himself a WWE Championship match? The important thing is that they made all of us interested enough to see what happens next. If this is what an episode of the Kevin Owens show will look like, I’d be happy to watch more episodes. If you thought John Cena almost breaking his neck to put Shinsuke Nakamura over was great, wait ‘til you heard what Randy Orton did for the Artist: he actually wrestled like he gave a damn! This week’s main event was one of Orton’s best matches in his entire career. Really, you have to see it because when Orton’s on fire, he can definitely deliver a good match. The match was a stiff and hard-hitting affair, the type of match Nakamura clearly thrives on. They should let him hit people hard more often, especially Jinder Mahal. Seriously, Jinder looks so buff he can withstand a stiff shot or two. Why can’t they give us this type of matchup on a bigger stage? How in the world did John Cena and Randy Orton, two of the most “boring” wrestlers smarks have ever known, produce better matches with Nakamura than SmackDown Live’s new anointed one? If they really want us to care about another Jinder vs. Nakamura match at Hell in a Cell, then they better give us an all-in, full-blown, Strong Style matchup inside the Hell in a Cell. Not a Punjabi prison, not a cell made of bamboos, no Singh Brother shenanigans (okay, maybe a shenanigan or two is fine). I just want to see them beat each other up. Then maybe, just maybe, you’ll get me to appreciate Jinder Mahal without any reservations. Vibe: Natalya and Carmella faced each other in a heel vs. heel match that saw Natalya act as the de facto babyface. That one was interesting to note. She even changed her hairstyle that made her look more credible. Her buns don’t really look threatening if you ask me. I can appreciate that. But the main story here was James Ellsworth who kept on putting Carmella’s briefcase dreams in jeopardy. Carmella’s mic work when she was “ending” her partnership with Ellsworth revealed her strengths as a heel. She should always be as aggressive as she was this week. The kiss, though? I didn’t think that was necessary. She could’ve just teased Ellsworth with a near-kiss followed by the slap. Still, it was a great way to establish Carmella’s character as a manipulative heel. Vibe: So I guess they’re still giving Baron Corbin a glimmer of hope by placing him in a program with AJ Styles. That’s good, right? But the one I’m more excited about is the resurgence of Tye Dillinger into main roster relevance. It was so cool to see Tye dominate Corbin for a while. I guess he’ll be the new underdog of SmackDown Live now that Creative already wasted whatever’s left of Sami Zayn. I really hope Corbin won’t screw up next week’s epic U.S. Open Challenge. He can beat up whoever wins the match, but please, give us an epic Styles vs. Tye encounter. Vibe: So how was Corey Graves’ first day on SmackDown Live? It was a welcome change to hear his cool, laid-back, sarcastic heel persona the entire episode. His presence was definitely felt during the main event when Nakamura was closing in for the win. I know some of you hate it when he screams “Kinshasa!” but hey, at least it’s way better than hearing “Ballgame!” randomly. I wish they could just keep him on the Blue Brand though and have someone replace him on RAW to preserve the authenticity of the brand split. Isn’t Nigel available? Vibe: Watching Dolph Ziggler’s recent promos is like watching a man melt in front of our very eyes. He’s just a few inches away from having a mental breakdown and I’ll be there to see it once he snaps (again). His stunts this week were a bit over the top but I guess that’s the point of his current storyline. I’m still not giving up on Ziggler and I’ll see where this one goes. 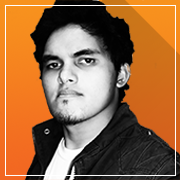 Hopefully, this will spark the nth career renaissance for our resident Zigman. Blue: What the actual f*ck are they doing with Sami Zayn? Seriously, it’s alarming at this point. The first few sneak wins Aiden English got from Zayn were fine because we’re expecting Zayn will eventually have his number. This week was supposed to be that moment, but lo and behold, Aiden rolled him up again for the win. Again, what the f*ck are they doing with Sami Zayn? This isn’t funny anymore. What, are they trying to turn him heel the way Ziggler did last year? Does he have backstage heat too? This is so frustrating. 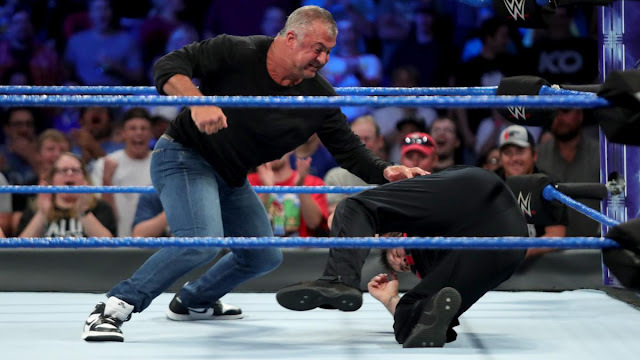 SMACKDOWN RUNDOWN: I’m really glad Creative didn’t slack off this week and actually delivered a great show. It was way better than their effort last week and aside from some questionable creative decisions, it was a solid show from top to bottom. The entire show felt like a big one since every storyline was advanced and there was an effort to tell compelling stories or develop new ones. And I know they hammered this one throughout the entire episode, but next week will be a stacked episode live in Nevada! Three huge title matches plus an appearance from Vinny Mac himself! I know I’ve said the Blue Brand have been slacking off lately, but man, this is how you make a comeback! There’s really nothing more to say here, I’ll just award this week’s show an A. See you next week on Sin City, baybee! Did you enjoy this week’s SmackDown Live? Are you also bummed we didn’t get a Fashion Files segment? Leave a passive-aggressive compliment at the comments below.